Jubei Yagyu was Japan's greatest swordsman, but the one enemy he couldn't defeat was death. Before his ultimate end, he ensured that his techniques would continue on by tasking his apprentice Koinosuke with finding a worthy successor, an amply-bosomed successor that Jubei's Lovely Eyepatch would be perfect for. 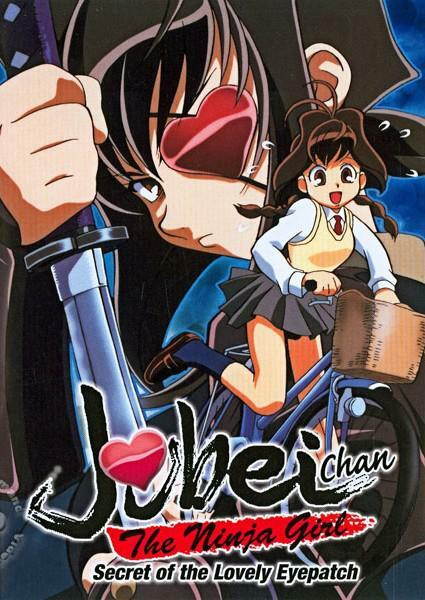 After 300 years of searching, Koinosuke has found Jiyu JUBEI CHAN: THE SECRET OF THE LOVELY EYEPATCH EPISODE 10 - "Nanohana, a girl who has just moved into town. If going to a new education with some colorful classmates and faculty weren't enough, now she also has to deal with assassins out to challenge Jubei's legacy."